It is interesting how inspiration can sometimes go in circles – or at least in spirals. Rudyard Kipling’s The Jungle Book, published in 1894, lent inspiration to Edgar Rice Burroughs who wrote the first Tarzan book in 1912. Burroughs has said that Kipling was among his inspirational sources, and Kipling later admitted that Burroughs was a “genius among genii” of imitators (though, strictly speaking, Tarzan is more than just a Mowgli imitation). The Tarzan character was later changed, in both subtle and not so subtle ways, for the silver screen, and among those changes was the iconic vine swinging, allegedly invented by Frank Merrill and popularized by Johnny Weissmuller. Now, here comes the real inspirational loop, for when Jungle Book, one of the most classic of the film adaptations, was made in 1942, we suddenly see Mowgli swinging the vines from tree to tree, just like the Tarzan that was originally inspired by the book Mowgli. With or without vine swinging, Jungle Book is really a spectacular piece of film, though truth be told, it is not a very faithful adaptation of the literary original. It begins with a neat framing sequence, where an old storyteller somewhere in the Indian countryside tells the story of Mowgli. Then we see many scenes of nature, both beautiful and powerful. And at last, the story comes to Mowgli himself and his struggle for finding his place, among the jungle animals, but even more so among the humans. There is naturally also a romantic interest in the form of a young girl. 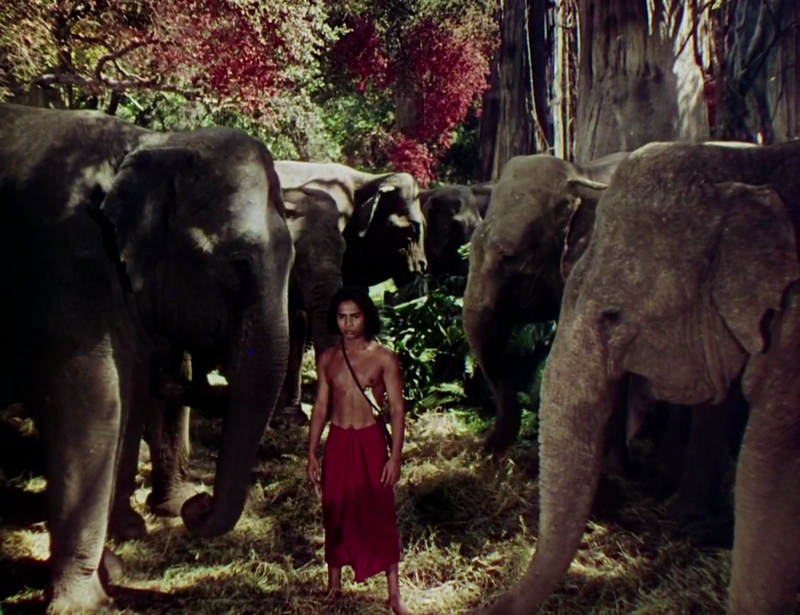 Mowgli was played by the actor simply named Sabu, who at this time was at the height of his career. Sabu had a very special screen personality, one that mesmerized and captivated the audience. But after he had served as a tailgunner in World War II, his career never quite got back on its feet, and this is therefore one of his rather few films as leading actor. If you are unfamiliar with Sabu, watching him is by itself worth the price of admission. This film is best enjoyed because it combines the best of Hollywood and British film of the time. From the British, it has the attention to detail, the flowing dialogue, and that little something which I cannot quite put my finger on. From Hollywood, it has the lavish sets and the budget to truly make it rise above the average. 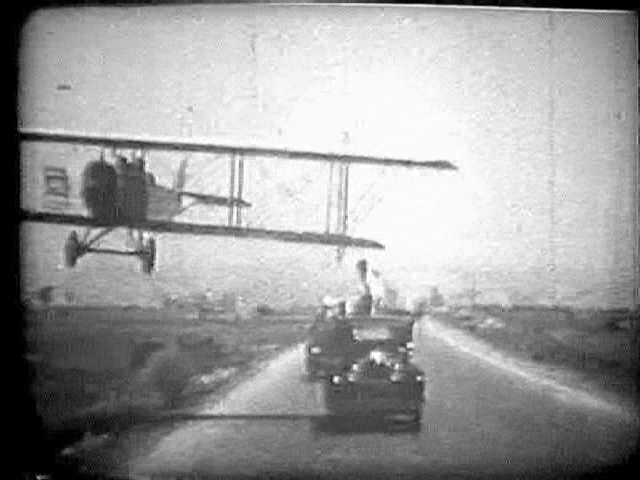 Aviation film has a long history. One of the first films to use an aeroplane as an integrated part of the story was Dash Through the Clouds (1912), a trivial comedy which today is only worth remembering for the amazing Wright aeroplane which is its real main character. A long range of films, today mostly forgotten, followed during the rest of the silent era. Almost the only one of the silent aviation films that is still remembered today is Wings (1927), but that classic (the first to win the Academy Award for best picture) is not available at the Internet Archive. Fortunately, there is another typical (though considerably less lavish) representative of the genre in the form of Won in the Clouds. 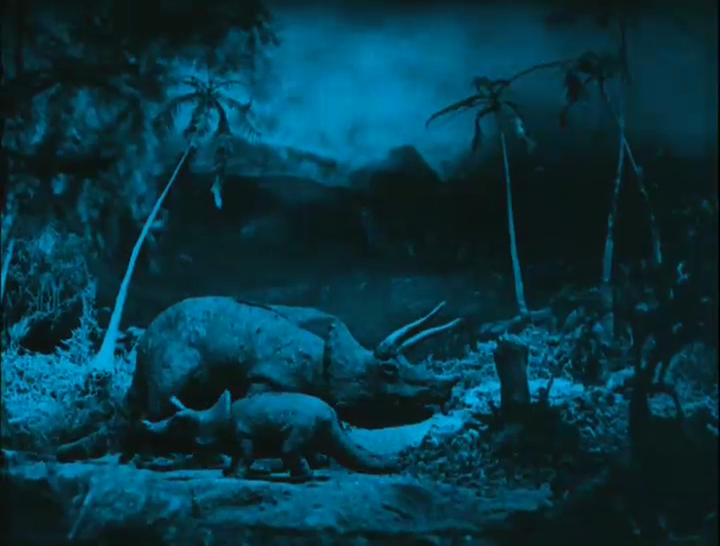 I have previously stated that the late 1920s was a period of very high film-making standards. But of course, not every film can be innovative and ground-breaking. Won in the Clouds is not one of those films that will leave you deeply touched and perhaps even with a changed perspective on some aspect of life, such as Sunrise: A Song of two Humans (1927) or La passion de Jeanne d’Arc (1928). Fortunately, it has other qualities. Won in the Clouds is a good example of light entertainment of the kind that Hollywood has always done best. The story is a bit silly, but not as silly as many other films, both new and old. 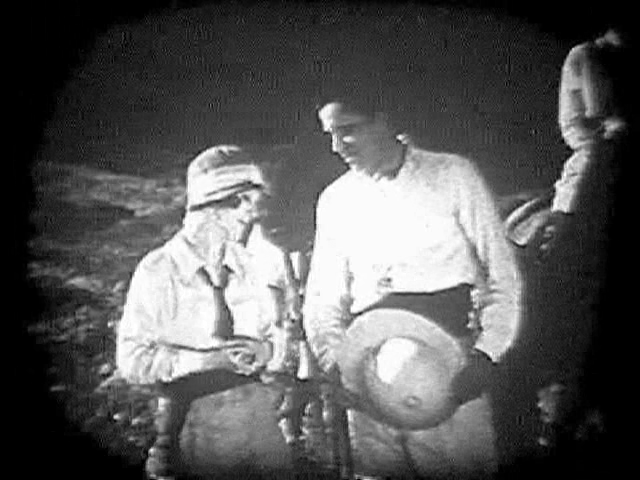 The acting is typical of the silent era. But most importantly, some of the stunts made in this film are absolutely spectactular. Not that they cannot be reproduced and improved upon with modern film-making techniques. It is just that when you see these stunts, you know that it has to be the real thing. There is little opportunity for trick filming, and no room for extreme safety measures. And there are definitely no stunt men. The story is a fast-moving one involving diamonds, a crooked mine manager, cars, jungle animals, sick natives, romance, and, of course, aeroplanes. Unless you place too high demands on credibility, this is good entertainment. With its African setting, Won in the Clouds definitely does contain some racial stereotyping. Racism can never be excused by the passage of time, but racism in popular culture is one source that can help us analyze the time and the culture that it mirrors. As such, it can perhaps also help us understand our own time and help avoid making the same mistakes that previous generations did. This film is best enjoyed for the wonderful aeroplanes and neat stunts. The Phantom is a classic newspaper comic strip in the adventure genre. It was created in 1936 by writer Lee Falk, and soon became very popular. Even after its creator’s death in 1999, it continues running with new creative teams. While past its peak, it remains very popular, not least as a comic book in Scandinavia and Australia. The character is partly a synthesis of Zorro and Tarzan, but with some very unique and original elements thrown into the mix. As a hero in the movies, The Phantom’s career has been considerably less stellar than in the newspapers. There have been several attempts, mostly very awkward, to recreate The Phantom either for TV or for the big screen. 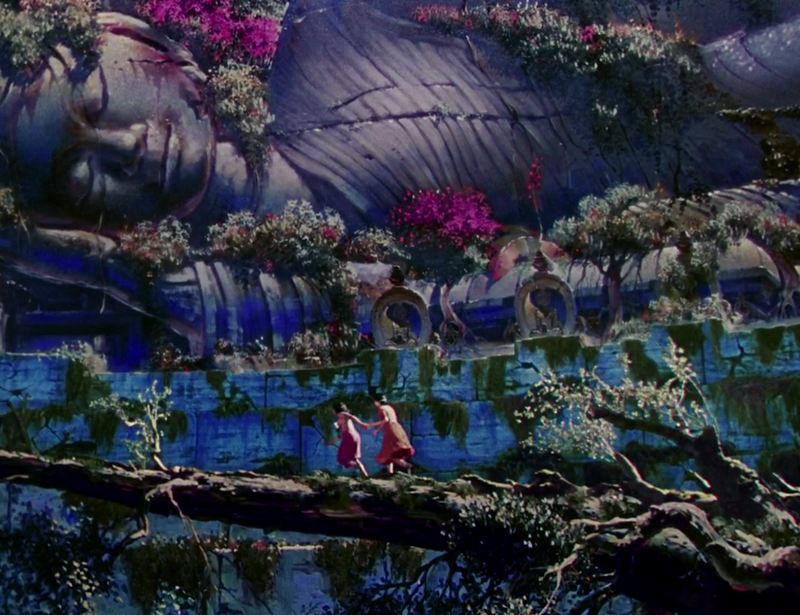 In fact, the best screen Phantom is still the very first, The Phantom from 1943. 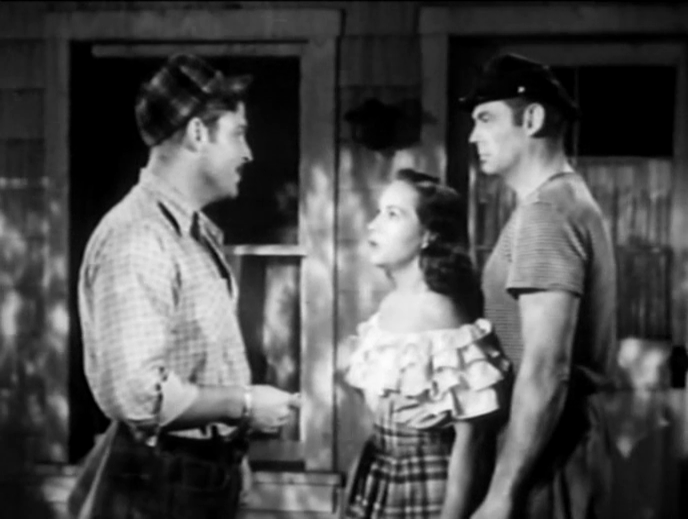 The adventure serials were at that time at their peak regarding budgets and production values, and The Phantom is not lacking in terms of entertaining adventure. The plot is standard serial fare. Professor Davidson needs help to find a lost city. 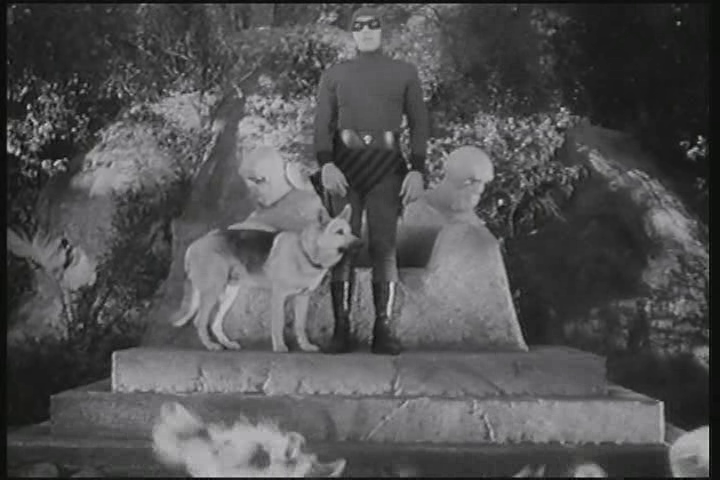 The Phantom comes to his aid, but a number of bad guys try to thwart them. Since this was made in 1943, one of them is a Nazi agent. And then there is the professor’s beautiful daughter, Diana. Why, of course. There has to be a romantic interest for the hero. After the early 1930s, female characters in serials became increasingly more passive and objectified, mostly acting as baits for the crooks to go after and the heroes to rescue. These gender roles became so cemented that they can still to some extent be seen in popular media, and I believe that the serials had a large part in that development. In early serials from the 1920s, the women were much more active, sometimes actually acting as the heroes themselves. In spite of his appearance, The Phantom is not really a superhero, neither in terms of powers nor in terms of the themes covered in the comics (special thematic rules apply in the serials). Like many superheroes, however, The Phantom is dressed in a tight suit and a mask. Just like Superman, his costume was inspired by the strongmen of the early 20th century, which explains why he has his underpants outside his trousers. This would be fair enough, except according to the background detailed in the strip, the costume was invented by the first person to hide behind The Phantom’s mask in the 16th century. Yes, there are many corny things about The Phantom, but that is part of the character’s charm. You cannot watch this serial, or read the comic, unless you accept it for what it is, and allow yourself to be immersed in a different world, one where the good guys always win and the bad ones get punched on the nose. This film is best enjoyed if you are disappointed with some of the other The Phantom films and want to enjoy what is probably closest to the real thing in motion. As an added bonus, Kenneth MacDonald makes a very memorable interpretation as the evil genius. Last week, I wrote about Tarzan actor Buster Crabbe playing the second fiddle to Johnny Weissmuller. This week, it is Crabbe’s turn to play the lead, and his sidekick is a very interesting actor named Prince Modupe. If not for these two actors, the B-movie Nabonga would have been easily forgotten. Every once in a while, one of the Tarzan actors would turn out to actually have an acting talent, and would go on to make a decent acting career. Crabbe was one of these. Like Weissmuller, he was an Olympic swimming gold medalist. 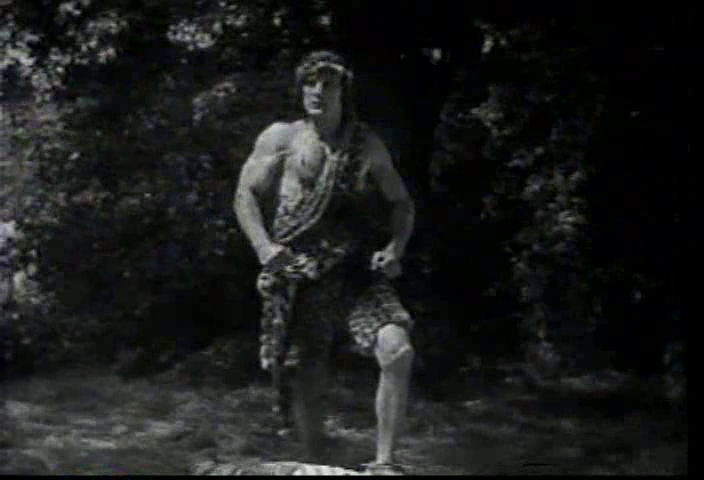 He made his Tarzan appearance in a 1933 serial, Tarzan the Fearless. The serial is now lost, but a feature film version remains. Interestingly it was produced simultaneously with Weissmuller’s first Tarzan for MGM, due to conflicting contracts (somewhat similar to the situation with James Bond in the 1960s). Crabbe followed a long tradition of Tarzans recruited for their physique rather than any actual acting talents. Indeed, his Tarzan role did not allow for much acting on Crabbe’s part. This is where history loops back, because the story of Nabonga centers around the girl Doreen (played by Julie London) who is stranded in the jungle and raised by her father and a gorilla. It is clearly inspired by the story of Tarzan, and undoubtedly made to capitalize on the Tarzan films (still with Weissmuller in the lead at this time). So Crabbe comes back to the Tarzan theme, but from the opposite direction, so to speak, as the romantic interest of the female “Tarzan”. Prince Modupe plays Crabbe’s sidekick Tobo. At a time when black people generally were subject to simplified stereotyping, Modupe managed to play roles where he actually appeared as a human, not as a stupid native or savage or servant. Born in French West Africa, Modupe’s village had very little contact with white people, yet young Modupe (“Prince” was originally his royal title, apparently) managed to get a European education and later worked in the US as a writer, composer, producer and actor. Beyond that, I was able to find very little information on the Internet, but this is one personality whom I would love to find out more about. The nice chemistry between Crabbe and Modupe lifts this film from the turkey pit and actually makes it enjoyable, at least in part. One more actor deserves to be mentioned, namely Ray Corrigan. The guy in the gorilla suit. The suit was apparently Corrigan’s private property, and some periods of his career he specialized in gorilla roles. This film is best enjoyed as a celebration of National Gorilla Suit Day, which is on Friday, January 31. National Gorilla Suit Day was first conceived as a joke by Mad Magazine artist Don Martin, but is today celebrated every year by fans of Martin and fans of gorilla suits alike. Today it is exactly thirty years since Johnny Weissmuller passed away, the most iconic of the many Tarzan actors on the silver screen. Weissmuller, who was already famous for his achievements as a swimmer, including five Olympic gold medals, was the first to portray the ape man in a sound movie. When Weissmuller’s acting career started, Tarzan’s popularity was going downhill fast. Weissmuller’s twelve films turned that trend, and without them it is possible that Tarzan would not have such a strong iconic presence today. 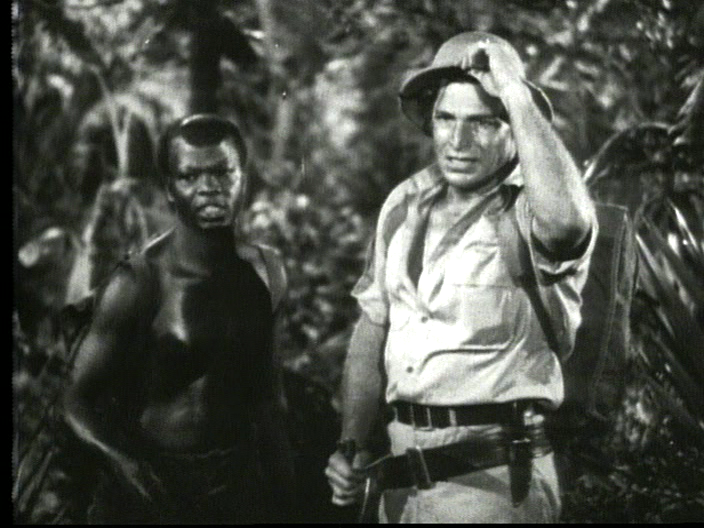 As Weissmuller’s Tarzan career was nearing its inevitable end, he also made the film Swamp Fire. This is, in fact, Weissmuller’s only major role where he did not play either Tarzan, Jungle Jim or himself. In Swamp Fire, Weissmuller plays Johnny Duval who returns home to the Louisiana bayou after service in World War II. But due to his traumatic experiences in the war, he cannot go back to his old job as a bar pilot. Duval wants to marry his old sweetheart Toni, but then there is the headstrong and rich city girl Janet Hilton, who has decided that she wants Duval for herself. 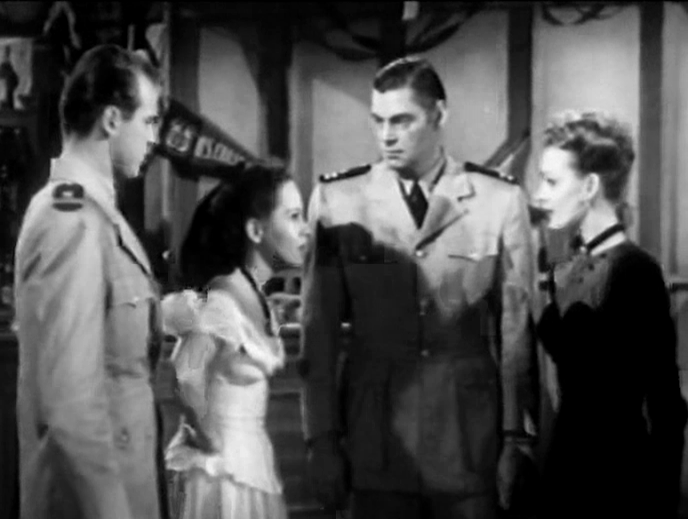 To complicate things further, Buster Crabbe (who had also played Tarzan, in the film Tarzan the Fearless (1933)) plays Mike, who is also after Toni’s heart. I guess, this being the Big Man’s death date and all, one should be respectful. But then, mommy always told me to tell the truth too and, truth be told, Swamp Fire would be a pretty nice little romantic melodrama if not for Weissmuller in the lead. Because while most of the other actors do what can be expected under the circumstances, and Buster Crabbe is really good, Weissmuller is mostly stiff and unconvincing. His acting repertoire turns out to be very limited, as he uses the same mannerisms here as in his Tarzans. But while they work there, they fail here. This film is best enjoyed for the very unusual pairing of two Tarzan actors. Not only that, but Virginia Grey (Janet Hilton) had previously played against Weissmuller in Tarzan’s New York Adventure (1942), and it would appear that the film is shot in the same swamp jungles as the very first Tarzan movie, Tarzan of the Apes (1918). 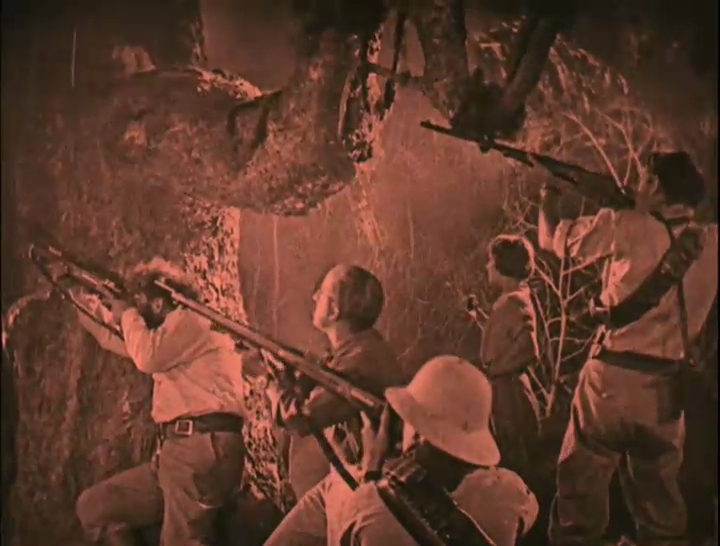 For a final Tarzan connection, the film includes a Tarzan tribute scene where Duval wrestles with an overgrown alligator.